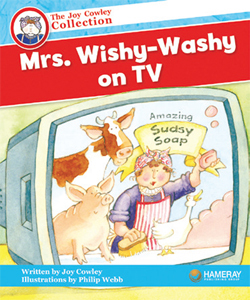 How long has Mrs. Wishy Washy been around? She has been making students in primary grades laugh out loud since 1980. 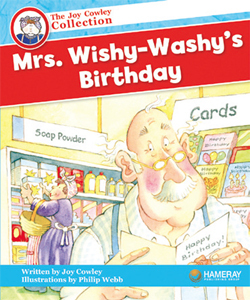 Joy Cowley started writing her Mrs. Wishy Washy books for children who have difficulty reading. The method of "rhyme, rhythm, and repetition" has been very effective with helping students begin reading phonetically. 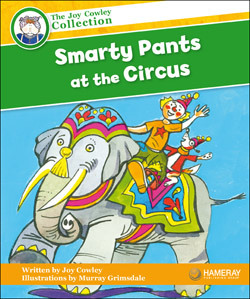 Hameray Publishing is releasing over 90 new titles in the The Joy Cowley Collection and The Joy Cowley Early Birds Collection. To get the word out, I have been asked to review one of her Mrs. Wishy Washy titles. (All opinions are my own and I have not been compensated for this post.) 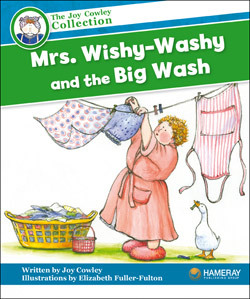 Keep reading and you will not only have a chance to win over $400 in leveled readers, finger puppets and 3 audio CD's, but you can enter to win a Mrs. Wishy Washy big book using the Rafflecopter at the end of this post. 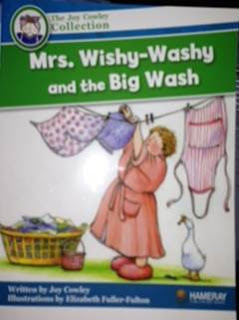 Mrs. Wishy Washy and the Big Wash is classic wishy washy silliness! 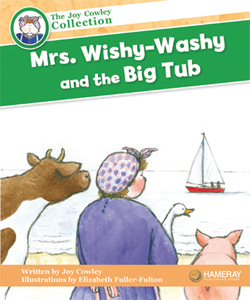 The Mrs. and her band of animals run into some trouble when it comes time to wash the truck. Through some trial and error, the truck is washed, but not without some great laughs for you and your students! 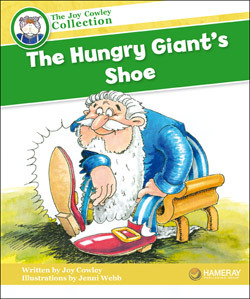 Reading this book with my students was a fun way to break away from our basal reader. 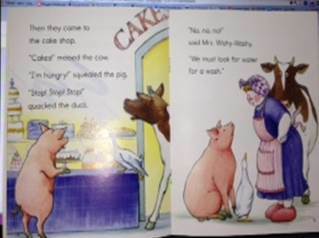 They had learned with Mrs. Wishy Washy in the past and they knew there would be some animals in the story, which they loved. 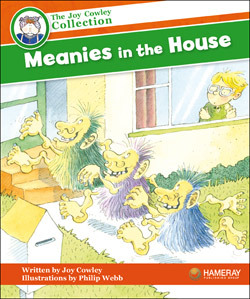 The illustrations were crisp, clear, and very detailed. We were learning about adjectives, so I had different groups of students work with different illustrations in the story to describe them. I projected the pages to my Promethean board and they did this during centers. They came up with some great describing sentences using the illustrations. Now for the chance to win ONE of these big book titles from Hameray Publishing (valued at $28.95). Complete the Rafflecopter below to enter. Giveaway ends on Monday, April 22nd.